I finally watched it! And if you haven’t, you definitely should! 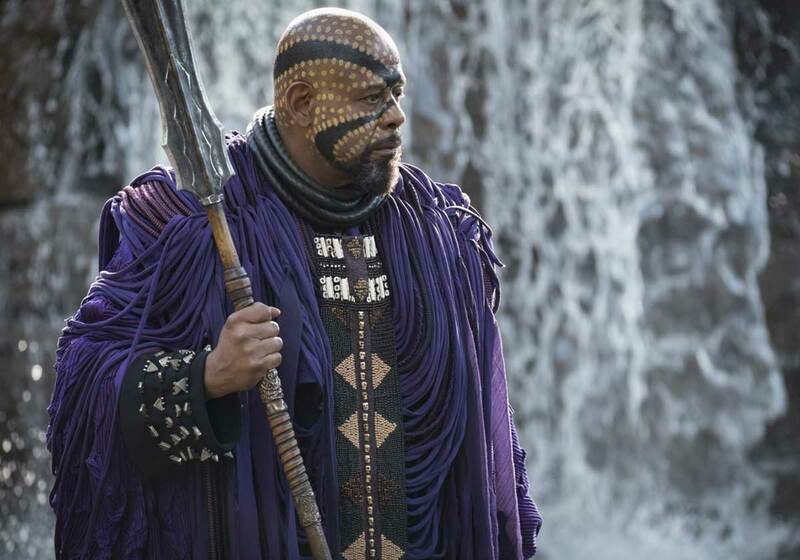 Not only is Black Panther a great movie, but also an absolute feast for the senses. 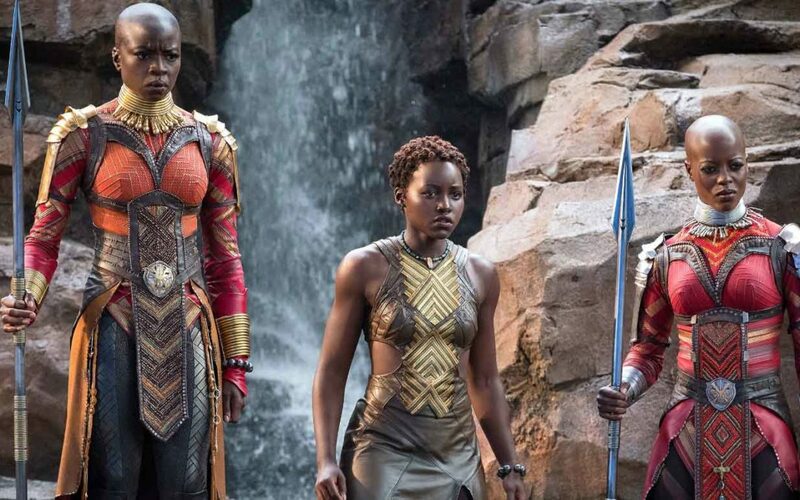 The film’s representation of Wakanda (a fictitious nation) is beautiful, striking and real in terms of the diverse African cultural and tribal references that permeate throughout the film. These range from influences from the Yoroba, Igbo, Songhai and Akan peoples of West Africa to the Maasai and Omo Valley people from East Africa; adornment from around the continent including Tuareg and Fulani jewellery, Maasai attire, and Igbo-like masks. 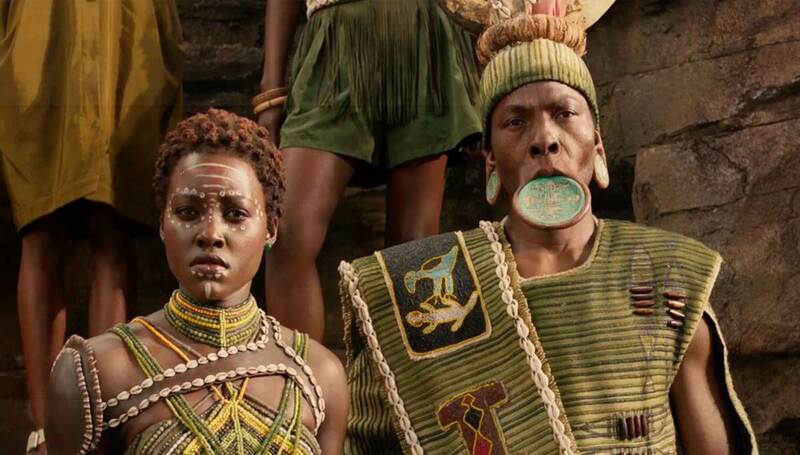 The futuristic, African cultural and tribal inspired costumes and armament that the characters wear is truly spectacular! I couldn’t help but be struck by every single piece, so I wanted to share this little narrative taster. Facial markings are an important part of many African cultures. They signify social status, commemorate events and attract or repel spiritual forces. Black Panther is abundantly adorned with many examples influenced by different cultures. From red clay markings that echo those of the Karo people of Ethiopia, to scarifications like those from West and Eastern Africa and the Congo Basin, and the ceremonial chalk markings of the Nikai’s River Tribe which are applied across the continent. 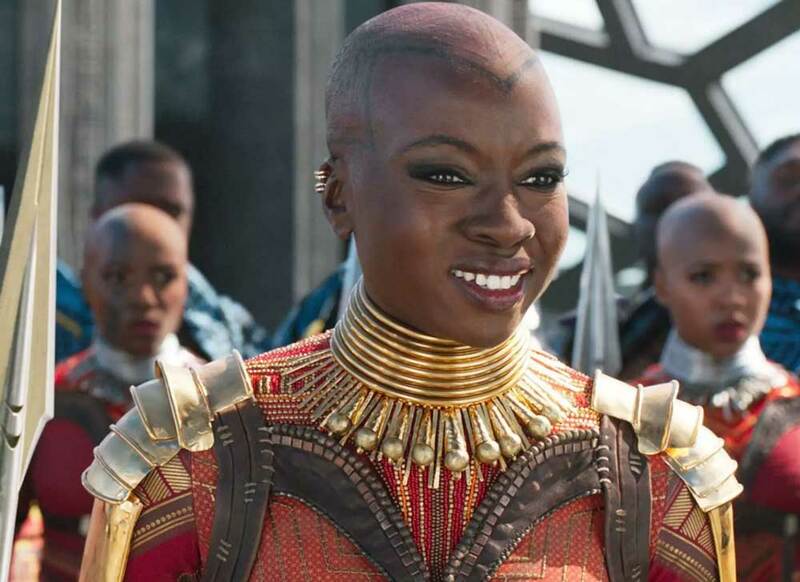 It was incredible to see the African cultural and tribal influences from the Lake Turkana and Omo Valley region play into the some of the forms of adornment that featured in the movie, including face paints, lip plates, shaven and plaited hairstyles, and elaborate headpieces. Of distinct note was the clay lip plate, a form of body modification which was practiced from as early as 8700 BC among the Sara people and Lobi of Chad, the Makonde of Tanzania and Mozambique and the Suri and Mursi people of Ethiopia. Jewellery and body adornments are a crucial part of African cultural and tribal life and here we see them designed to function as both adornment and protection, shielding the neck, shoulders, torso and limbs, making the all-female army look both formidable and stunningly glorious. Equally wonderful was the gorgeous Fulani and Tuareg gold and silver jewellery – some of the most beautiful in Africa, make its appearance among the Merchant and other tribes. 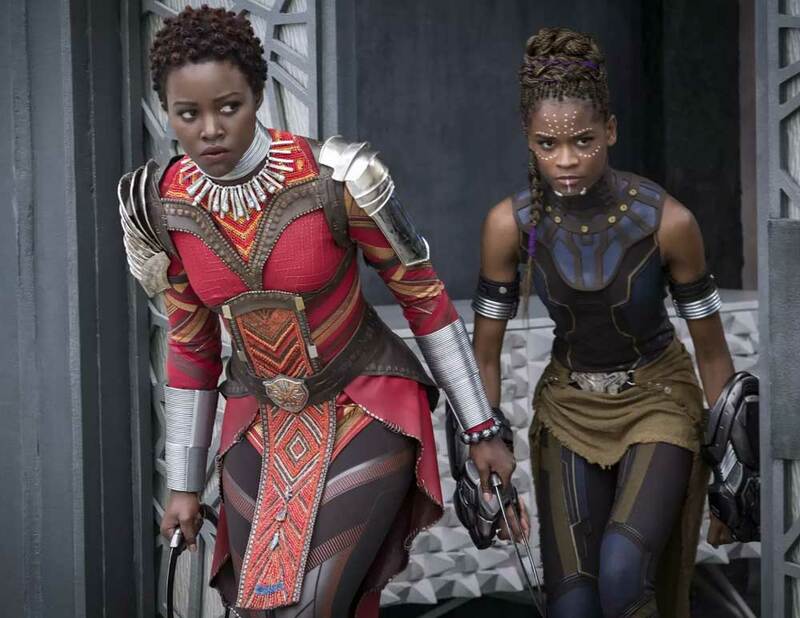 From start to finish, Black Panther represents Africa as the culturally rich place it is, adopting its history, mythology and folklore in both an empowering and entertaining manner. 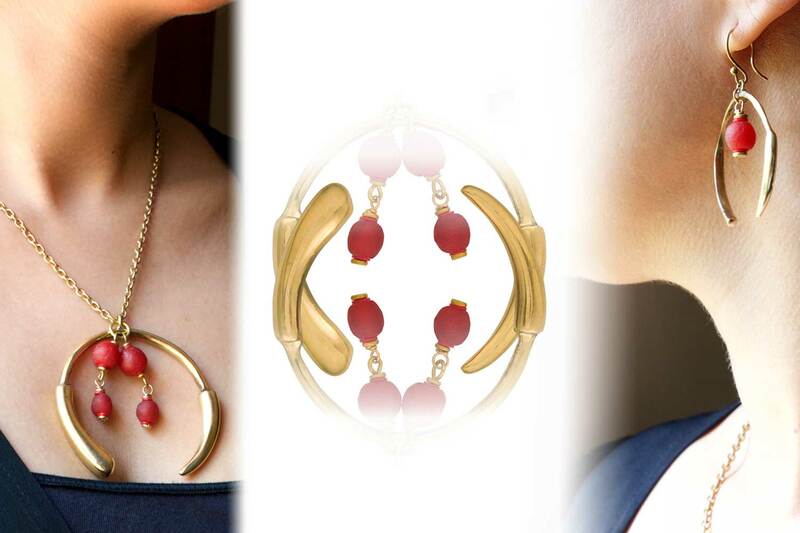 The jewellery captures femininity, cultural identity, spirituality and divine power, and provided a strong impetus behind our upcoming Aza Collection. Here is a little taster of what to expect. Think bold and robust form juxtaposed by chic elegance.